Whatever skills you may have as a teacher, you have nothing to teach that you have not embodied through your own self-praxis. Yoga praxis is a process of embodying integrity, wherein the inherent integrity of the body determines the effectiveness and efficiency of habitual action. This embodiment comes only from self praxis, and is the non-negotiable basis of effective teaching. It is only in your own practice does any understanding you may have about yoga, the bodimind or biomechanics become real and usable. Yet this is actually only possible when practice is based directly on the inherent intelligence and integrity of the body. 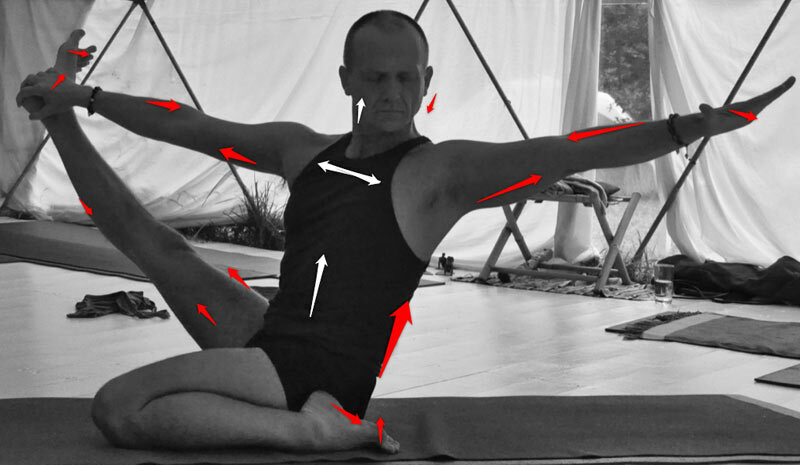 The Dynamic Yoga Depth Intensive and Immersion Modules allow the whole body to recalibrate itself gradually, effortlessly and permanently through the progressive development of neuromuscular pathways of integrity. Then it is always able to function from its inherent integrity and reveal its relationship to mind and spirit. This is not a matter of flexibility, strength or geometry, but of sensitivity to the intelligence of the body, expressing itself through sensation. If this foundation has not been established through dedicated practice, teaching yoga is like building castles on sand: as ultimately disappointing as it is immediately ineffective. If it has been, both you and your students will be able to enjoy yoga as a continuous infolding of delight and satisfaction. This possibility can not be based on knowledge, information, ambition or hope, but depends entirely on sensitivity to physical sensation. Sensitivity to physical sensation needs to be progressively cultivated from the muscles to the core, via the joints and breath: from the obvious to the subtle. This is an ongoing somatic process within which the intelligence of the mind is sensitised to the natural sensitivity, and inherent integrity of the body. The bodimind is then brought to functional, structural and energetic integrity through an intelligent Vinyasakrama that sensitises, awakens, integrates and opens the body gradually, safely and effectively. This is the Dynamic Yoga Training Method.